Thankfully for you, we have done all of the hard research ahead of time. Once you have read through this article, you will be prepared to go out and find the best carpenter’s hatchet you can find. Whenever you purchase any new piece of equipment, there are several key factors to consider. This is also true when you are looking for the best carving hatchet. Length – There are two ways to think about the length that you’d find on the best carving hatchet. The longer it is, the more force you will be able to apply while chopping or hammering. However, the smaller it is, the easier it is to pack and bring along with you and not be too much of a burden. Weight – To find the best carving hatchet, you also have to take into account the weight. A heavier hatchet will allow for more force when chopping or hammering. However, the heavier it is, the more it will weigh you down and tire you out. Husqvarna’s 13” hatchet is a great multi-purpose tool. Though perhaps best suited for camping and garden work, the quality of the axe means it will also work well for carving in a pinch. Blade Material – Whenever you are looking for best carpenter’s hatchet, or any carving hatchet for sale, for that matter, you want to take into account what kind of material was used to manufacture the blade. Since this is a tool that will take a lot of abuse because of its design, the stronger the metal, the better. In this case, always look for a high-grade steel, since this will last longer, stay sharper, and be easiest to keep clean. Ease to Sharpen – After heavy use, even the best carpenter’s hatchet is going to start showing some wear and tear. It is because of this expected degradation that you should always look for a hatchet that is easy to sharpen. If by design, the blade is oddly shaped or hard to get to, you will want to avoid that kind of hatchet when possible. Sharpening Frequency – If you get one of the better carving hatchets for sale, you should not have to sharpen the blade all that often, especially those made with a higher quality steel. 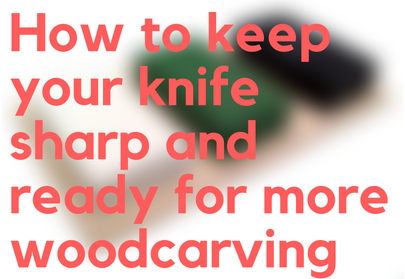 However, the number of times that you will need to sharpen your blade is also dependent on how often and how roughly you use your hatchet. Even the best carving hatchet will need sharpening on occasion. 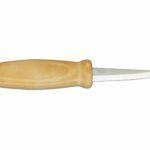 Single Bevel – If you are looking for the best carving hatchet, you will most likely want a single bevel design. Since one side of the blade is flat and one is sloped, these blades work great for straightening a piece of wood or carving down into it. Double Bevel – If you are looking for the best carpenters hatchet, odds are you going to be looking for a double bevel design. This is the model most common on axes and hatchets, turning the blade into a wedge that works well for chopping and cutting wood. 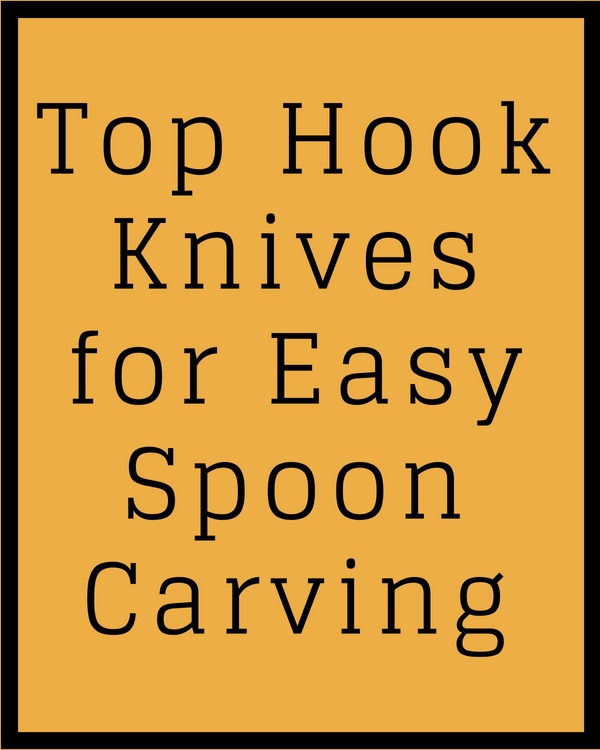 Handle Material – Whenever you are trying to select from the multiple carving hatchets for sale on the market, you must take into account the material used for the handle. Wood – This is the most traditional material for hatchets. Depending on the wood species, it can either be heavy or extremely light. 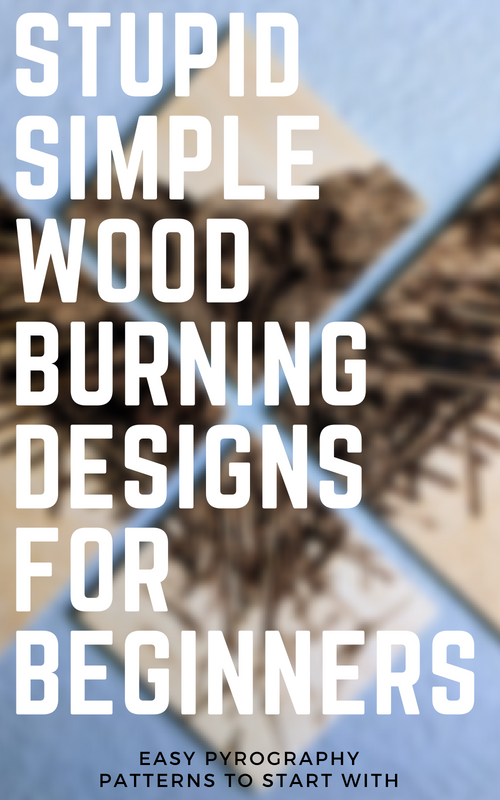 The biggest disadvantage with wood is that it will crack and splinter with use and age. Metal – The cheapest material for the best carpenter’s hatchet to be made with is also the most durable. Unlike wood or composite, it will not crack or break. This means that it will last longer than the other two. The disadvantage with metal handles is that if you intend to use if, for an extended period, it may begin to hurt your hand. Composite – Hatchets made with composites tend to have lighter and thus, more easily swung and used for a longer period. They tend to be expensive, however, and might not offer that many advantages over the handles available. Woodcutter – If a company has a carving hatchet for sale, it needs to be able to perform this basic job. It should have enough stability and extraordinary power to be able to cut down, shape, and cut up pieces of wood with relative ease. Hammer – A carpenter’s hatchet needs to be able to do more than just cut, however. It should have a flat back that can be useful for hammering. It is best to look for a hatchet with a wide back so that you can use it on nails or wedges. 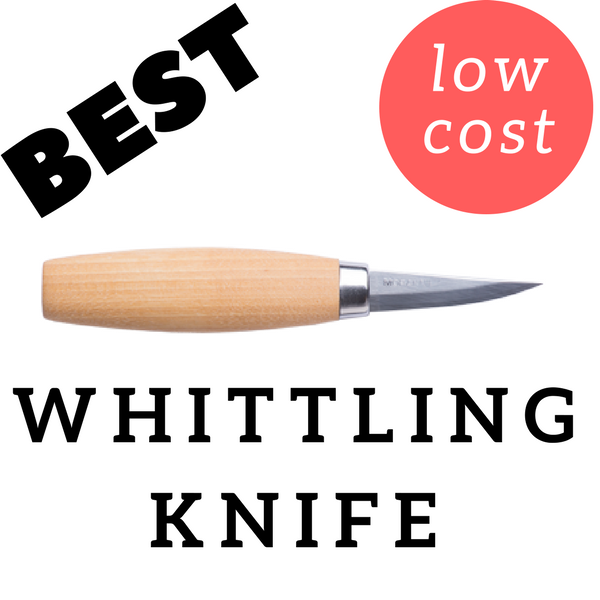 Carving – A single bevel blade or functional designs help for carving out different shapes in wood. Though not specifically designed for carving, the wide-bit blade and well-balanced design of this German hatchet make it an excellent tool for carving as well as general cutting work. At two pounds it’s a bit heftier than other hatchets of a similar size, but the incredibly well thought out design means that the weight of the hatchet goes towards making sure you put in less effort, not more. While still being small enough to pack or carry, the 1.25 pound head splits and chops easily and efficiently. While the functionality and versatility of this hatchet already ranks it as perhaps the best carpenters hatchet available, the aesthetics of the Helko hatchet really set it apart. 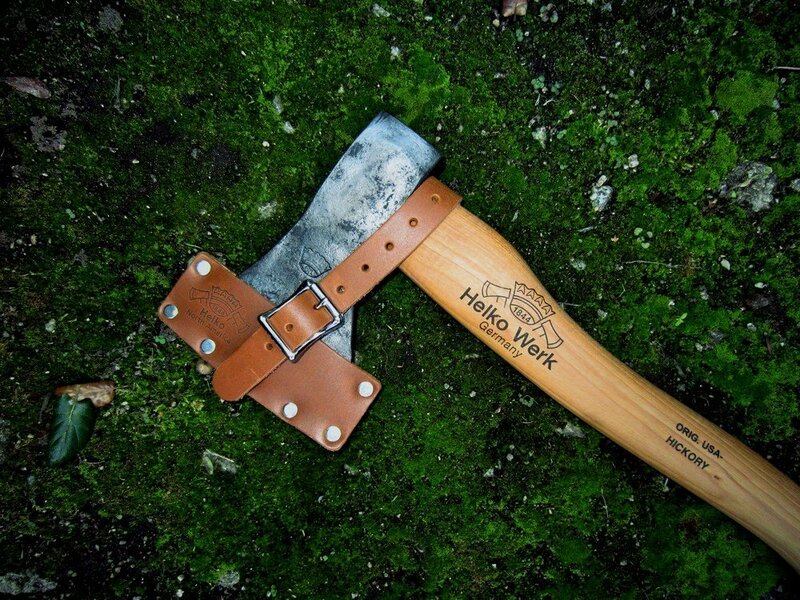 Helko hand-makes their hatchets in Wupppertal, Germany. 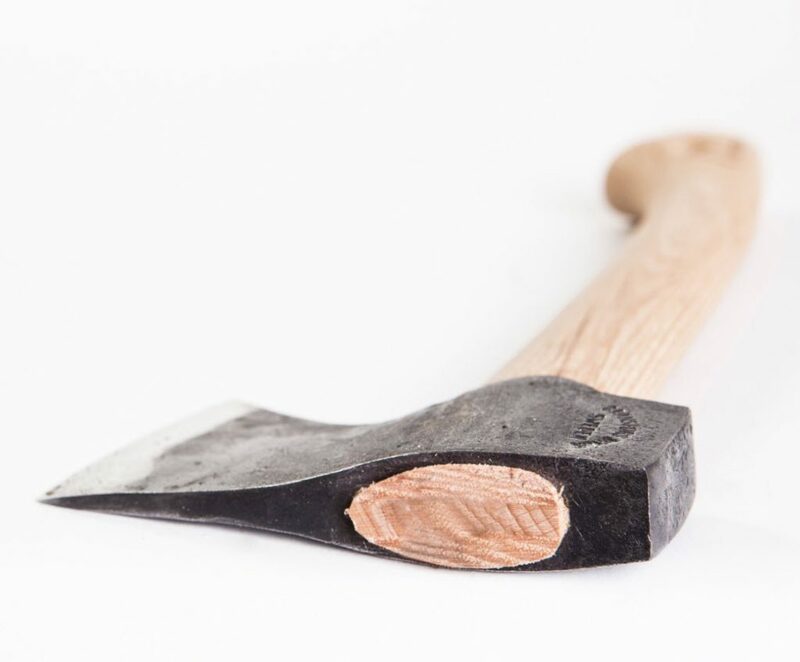 Each hatchet head is crafted on an open face drop forge out of high grade German carbon steel. It is heat treated to be durable and capable of maintaining a razor edge finish. The company is very proud of their place in the Rheinland’s smithing tradition and, aside from setting a fine edge to the blade, the head remains mostly unpolished, leaving its forging marks clearly visible. This gives the hatchet a beautiful and rustic look, and ensures that no two pieces are quite the same. The handle of the hatchet matches this quality. Smooth and durable, it is hewn from American hickory and finished with boiled linseed oil. The rough elegance and superb functionality of the Helko Rheinland’s design and finishing makes it an item that any carver or carpenter would be proud to own. The long, rounded edge of the blade and its fairly slim, flat head mean that its designed with the intention of cutting across grain, rather than splitting wood open. This gives you superior control over the size and direction of your cut. This small, light hatchet from Gransfors Bruk is perfect for packing into a camping bag or even attaching to a belt. Despite its small size, the well-balanced design and high quality steel edge make it a versatile and effective tool. As with all Gransfors Bruk hatchets and axes, you can trust that the wildlife hatchet is made of high quality materials. The high grade carbon steel is hand forged, with each hatchet head bearing the stamp of the smith’s initials in addition to the Gransfors Bruk logo. All Gransfors Bruk handles are made from lightly oiled hickory, the gold standard handle for all axes and hatchets. Gransfors Bruk pride themselves on eco-friendly design and production, part of a care and an attention to detail at every step of the process that leaves you with a solid, dependable, and uncomplicated hatchet. There are no unnecessary varnishes, paints, or toxic glues, just quality wood and steel that you can rely on. While Gransfors Bruk does have more specialized carving hatchets for sale, the thin profile of the wildlife hatchet’s head means that it will suit carving just fine. The face of the blade is not as wide as the best carpenter’s hatchet, and it doesn’t feature as deep a recessed head of Gransfors Bruk’s specially designed carving hatchets. Nonetheless, the blade is still impressively wide for a hatchet and it can be gripped comfortably against the head for greater control. The light weight and small size make it easy to maneuver for work that requires more precision or finesse. 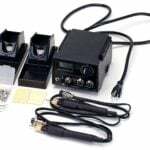 All in all this is a superb tool with a diverse range of applications. Gransfors Bruk worked in conjunction with renowned Swedish craftsmen Wille Sundqvist and Onni Linnanheimo to develop a tool that they believe, with good reason, can lay claim to the title of best carving hatchet. The design is based on traditional Swedish wood carving techniques and features a wide, beveled face that allows you to cut using curved movements. The face of the hatchet swoops down sharply, leaving a convenient area for you to grip the hatchet right up against the head. This lets you work easily and comfortably when making cuts that require the upmost control and precision. The textured handle provides the friction needed for a firm, non-slipping grip. Gransfors Bruk will let you order the hatchet with the blade ground specifically for either left-handed or right-handed carving, though it comes double-sided as standard. At 2.2 pounds, this hatchet has a weighty head to give you more power with every stroke. This heft makes the hatchet an ideal tool for reducing wood and roughing out a shape. The relatively large size and weight of this hatchet does mean that it may not be the ideal tool for more delicate work. When it comes to refining the shape of your project you may find it handy to have a knife or smaller hatchet on hand. Nonetheless, the well thought out design of the Gransfors Bruk large carving axe gives you enough control that it can still be used in many situations where its size might make you think otherwise. Users should be aware that, while the curved face of the blade allows for optimal carving action, it does make this hatchet somewhat trickier to sharpen. Still, a little extra time on maintenance will likely be considered a small price to pay for one of the best carving hatchets for sale! This Husqvarna hatchet has a thin, straight edge which, as in all the best carving hatchets, tapers from a fairly narrow poll. The slim profile of the head means that the hatchet can be used for more refined work than chopping. It will do the job carving along or across the grain and won’t cause the wood to split or tear away unexpectedly. 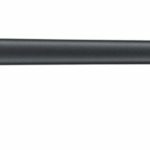 The Husqvarna hatchet axe is 13” long and weighs in at about 2.4 pounds. It is heavier than the average 13” hatchet, but the weight is well-balanced to give you more cutting power. Nonetheless, users who have less forearm strength or are used to lighter hatchets may want to be aware that working with the Husqvarna could present a bit of a learning curve. It is hand made in Sweden from carbon steel and features hickory for the handle. 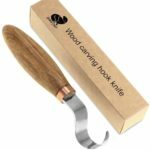 The handle has a nice curve to it, allowing for a comfortable grip while working, and is finished with a light coat of oil to protect the wood and your hands. The head does not have a razor sharp edge upon purchase, but will hold a sharper edge well and can easily be honed down with a sharpening stone. The high quality of the materials and the level of craftsmanship on display in this hatchet make its relatively low price even more impressive. This is a great, versatile hatchet. While it may not be the most specialized carving hatchet for sale, it would make a great entry level buy for anyone looking to do some carving, but who could also use a hatchet for general limbing and cutting work.